Q. 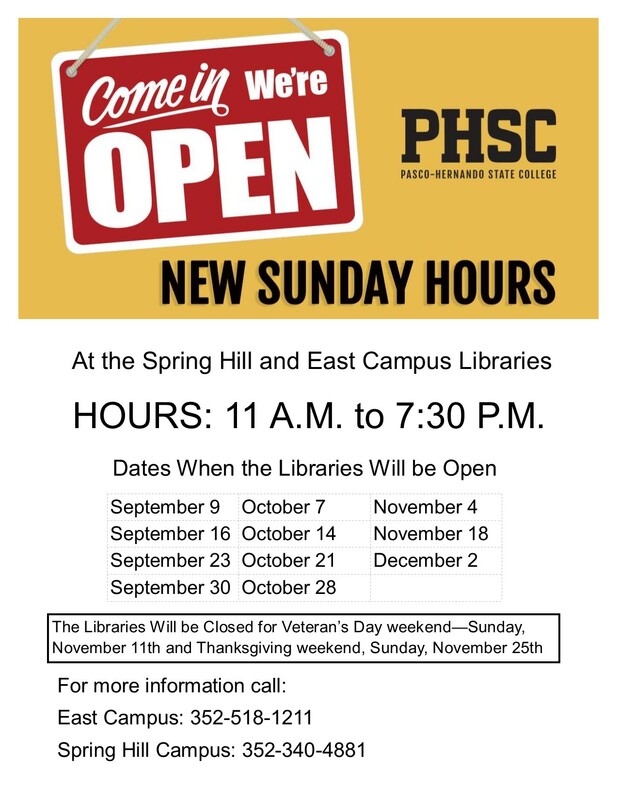 What are library's hours and phone number? Mon-Thu 8 a.m. - 9 p.m.
Sun 11 a.m. - 7:30 p.m. Libraries are closed on days that the college is closed, including holidays, Spring Break and Winter Break. During the Summer semesters the College is closed on Fridays.